These haematite beads shine with a fabulous sense of fun and disco glamour, as their vivid spectrum patination creates an infinite number of colourful variations. Choose from two bold styles, each with bags of character and panache, including Faceted which gives the impression of mini disco-balls, sparkling in every direction. Striking on their own, and a great way to accessorise the matching necklace. 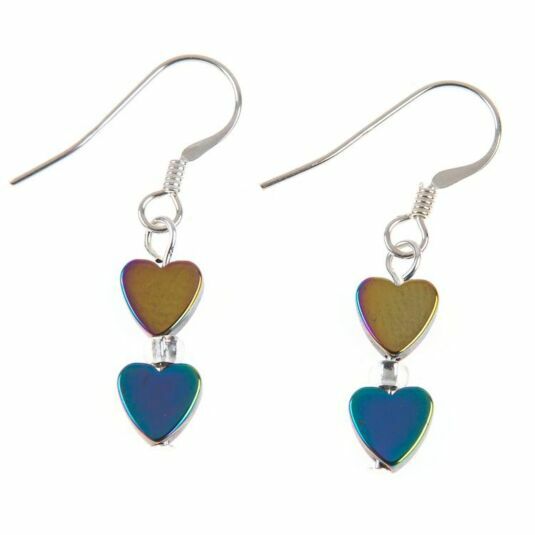 The hooks are sterling silver, so you'll always be comfortable wearing this beautiful pair of earrings.